The flowers most often have 4 crape like petals. 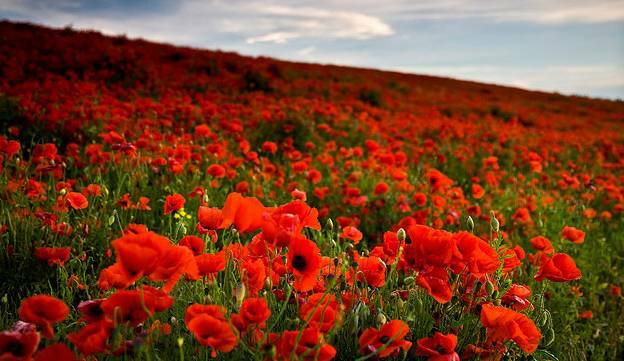 We asscociate poppies with war remembrance days; the 9th Century BC Greek poet Homer who first linked the hanging poppy bud with a dying soldier. Growing Environment Plant in seed raising mixture. Want more information on Plant Type or Growing Environment? Seedsticks® products can be exported out of Australia. However most varieties of seed require a Phytosanitary Certificate to accompany the shipment along with a commercial invoice. We will assist and advise you of any restrictions or documentation that is necessary for overseas or interstate deliveries.